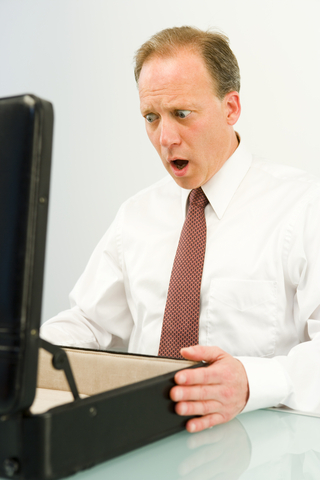 / Are You Being “Ripped Off” By Your Virtual Worker? In a virtual team you don’t have the luxury of seeing someone working intently on a project outside your office door. Where are your virtual workers based? Are they working remotely in your local area or are they scattered across the globe, in a completely different time zone? There is a large element of trust involved when working with someone on the other side of the world that you cannot see in action. You trust your virtual team members are loyal and that they put 100% into the projects they are assigned. But, have you ever had that sneaking feeling that someone on your virtual team isn’t “pulling their weight” or perhaps they are “slacking off” on the job? As with the typical work environment the majority of virtual workers take pride in their professionalism and wouldn’t dream of “slacking off” on the job. They value their reputation and the benefits they get working virtually. In my experience, I have found virtual workers highly productive and committed to the projects assigned to them. However, from time to time you’ll see the little signs creeping in. Little signs that someone on your team isn’t performing their best. Signs they could actually be ripping you off! Taking it easy while you pay for the time they work. A costly mistake for your virtual business and one that can be avoided. You feel your virtual remote worker doesn’t respond within your expected time-frames. Virtual Team Building Tip: Make sure you’ve set up appropriate communication standards in your virtual team. If they receive a message or email from you, outline what the expected response time is. If your virtual team member knows the required response time but consistently fails to meet the agreed expectations, it’s sign they aren’t working when they say they are or your projects aren’t being given priority. You just can’t seem to connect with your virtual team member. Every time you try to contact them online, they are not available. You start to wonder what hours they are actually working. Virtual Team Building Tip: Keep in mind that it is quite possible, that a remote worker maybe sleeping while you are working due to time zone differences. Be aware of how the working time zones will impact on your business. Have you established an agreed, specific time when you connect to discuss projects online? Are you using an online conferencing platform that’s easy for the whole team to access? If your virtual team member is consistently absent from the virtual meeting, then there may be an issue with the time or technology. Work together to find a time and platform suitable to all parties. However, if the issue doesn’t get resolved, this maybe a sign that you’re virtual worker isn’t committed to your business. The time taken to complete tasks seems to be way over your expectations. Virtual Team Building Tip: Communication is key. If you are unsure how long an activity should take to complete, do some comparisons. Comparisons with other colleagues, virtual business owners or other virtual workers. If something doesn’t seem right, don’t jump to conclusions. There could be a reason. Perhaps they are using old technology; they don’t have the required skill level, not enough resources. It could come down to poor time management habits. Whatever the case, set expectations. Before a project is started you could discuss the expected time-frames and come to an agreement just like any project budget. If it blows out past the agreed expectations, then talk about it. The reason could even simply lie in a data input error. Be reasonable – however beware. If it is a problem that shows up on a consistent basis, it may be it’s time to hire a new virtual worker. As a virtual business owner, there are signs to look out for. If you have a feeling someone is “slacking off” you may be right. But don’t jump to hasty conclusions. It’s important to hire the right person in the first place, set expectations and clearly communicate them to your virtual team members. If you do that, then the workers “ripping you off” will become evident very quickly!